Coming from an unexpected win as senator for Ohio’s 3rd district, Democrat Tina Maharath is relishing her success as she travels throughout southeast Asia to reconnect with family. Many are calling Maharath an underdog as she won despite unlikely circumstances. Unofficial Nov. 8 midterm election votes showed Maharath’s opponent, veteran Republican lawmaker Anne Gonzales, in the lead by just a few hundred votes and it seemed as if the race was headed toward a recount. But after Franklin County election officials counted provisional and late absentee ballots more than two weeks later, Maharath took home the win by about 705 votes. Maharath, a 27-year-old financial analyst from Canal Winchester, pulled ahead when the odds were stacked against her. She had no prior campaign experience, didn’t receive endorsement from the Democratic party or accept money from political action committees (save for initiatives that support bi-partisan Asian American civic engagement), and even faced attack ads that cost hundreds of thousands of dollars. Instead, she relied on everyday people to support her, going door-to-door to talk about her platform and listening to constituents’ needs. In a blog post, Maharath says the generosity of her mother, who died in a car accident when Maharath was 14, pushed her toward a life of public service and giving to the community. In an interview with Little Laos, Maharath said while in office she would focus on issues like supporting veterans, increasing educational funding, affordable healthcare, developing economic opportunities and investing more into solving the opioid crisis. This achievement was not only a win for Maharath, but a win for the Lao American community. 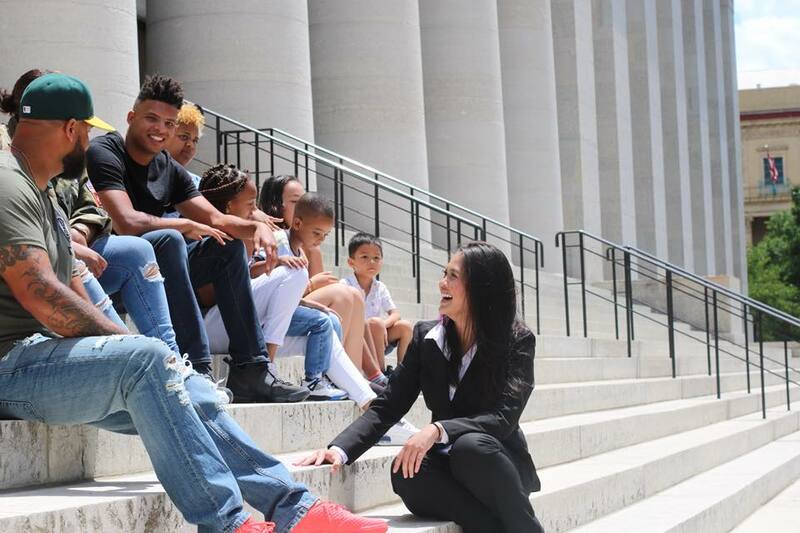 Maharath says she is Ohio’s first Asian American state senator, the first Lao American U.S. state senator, and Ohio’s first Asian American woman in the general assembly. Maharath will be officially sworn into office Jan. 1. It showed that no matter if you were a convict, a drunk, a hit and ran convict, and barely educated, you still have a chance to become a public figure in America. Is that a great country or what?